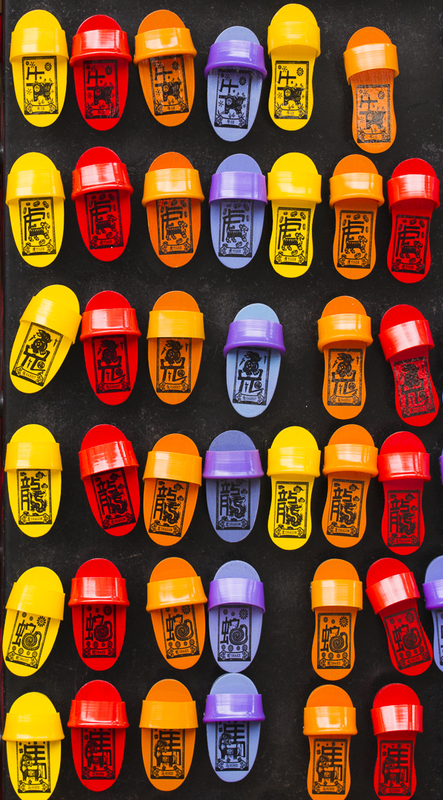 Photo by Terence Kwan: Clogs are significantly Peranakan & “very Malacca” . 09th September 2014, Singapore – Listed as an UNESCO World Heritage Site since 7th July 2008, Malacca is the 3rd smallest Malaysia state (after Perlis & Penang). Malacca is also widely known as the “Historic State” due to its history and culture mix – most prominently once colonized by Portuguese & Dutch. It is also one of the last states with a high number of Peranakans which is almost on par with Penang. 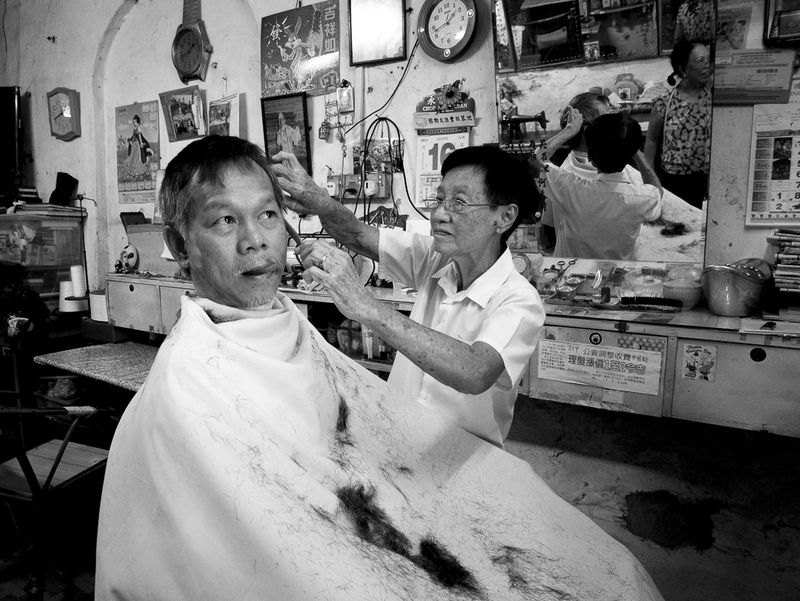 Photo by Terence Kwan: A local man having his haircut at a traditional barber shop. Having an interesting history also resulted in the modern Malacca we see today. Bustling with lots of activities, tourists flocks to Malacca to experience the culture, the food and the heritage. There are lots of ancient churches and buildings that are still well-preserved till today and this makes Malacca a good place to visit for photography too. 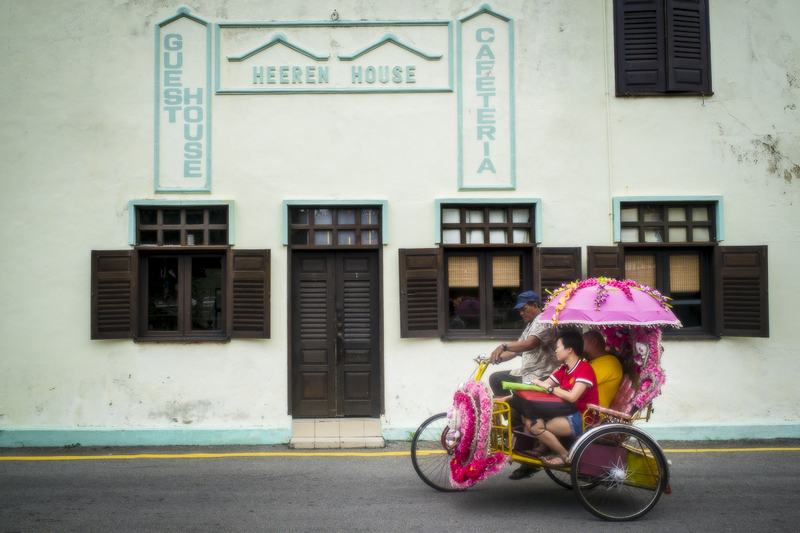 Photo by Terence Kwan: Colorful trishaws are still very much used by the locals as well as the tourists. Many of these trishaws are elaborately decorated to attract customers. These trishaws are now an important element of Malacca adding colors to to the streets and adding to the unique flavor of Malacca. 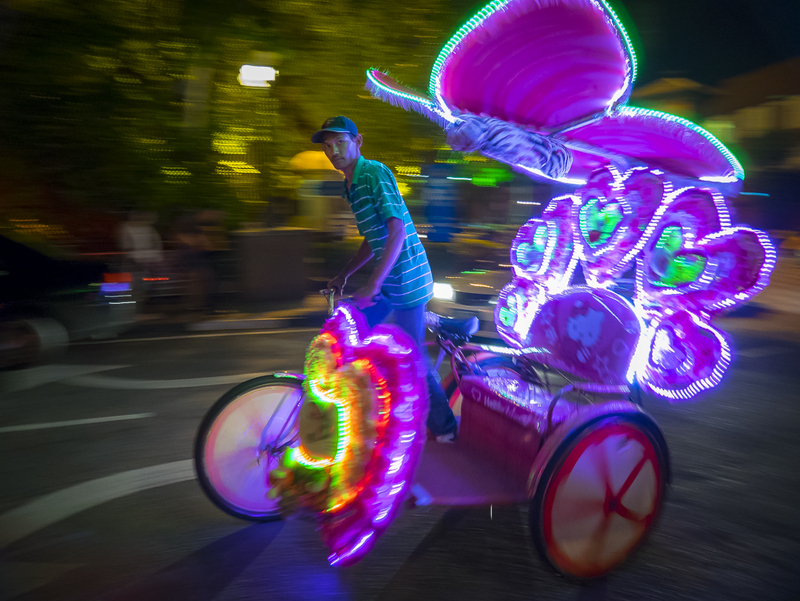 Terence Kwan, a photographer from Singapore joined Xing Asia’s Malacca trip recently (August 2014) and came back with some really interesting photos. I bet it will be more than just nice photos that Terence brought back, from what we understand, he brought back an unforgettable experience, a complete new understanding of Malacca & lots of memories. We took the opportunity to catch up with Terence and have him share with our readers about his trip to Malacca with Xing Asia. 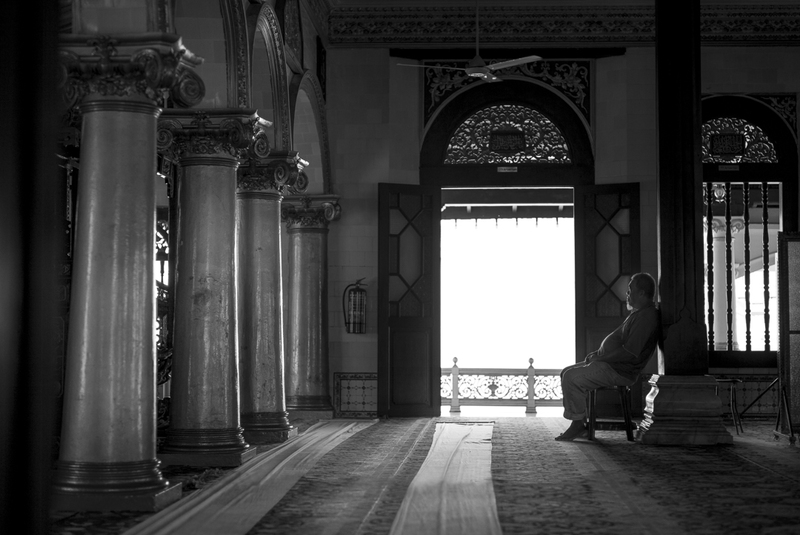 Photo by Terence Kwan: Malacca Straits Mosque or Masjid Selat Melaka. A must-visit attraction in Malacca. Editor: Hi Terence, thank you for allowing us to interview you. I know this is a silly question but, have you been to Malacca before prior to this trip with Xing Asia? Terence: No, this is really my first maiden trip to Malacca. Editor: Wow! Then please share with me what made you want to sign up for Xing Asia trip travel program “Heritage Malacca”? Terence: I was introduced to Xing Asia’s tour by a few friends of mine. They had previously traveled with Xing Asia and have nothing but only good things to say about Xing Asia. My expectations of Malacca came mostly from friends that have been there before and from what they have experienced & shared, Malacca is a place that has good food and lots of nostalgic places. So it is my ideal place for a short holiday. Editor: I was told that this is a 2D1N weekend trip, so the program itinerary must be really packed. Please share your thoughts on the itinerary & overall tour arrangement? Terence: The itinerary was indeed well-planned and professionally executed. During the first day, we had both day and night photo sessions at the famous Jonker Street which look and feel very different (between day & night). 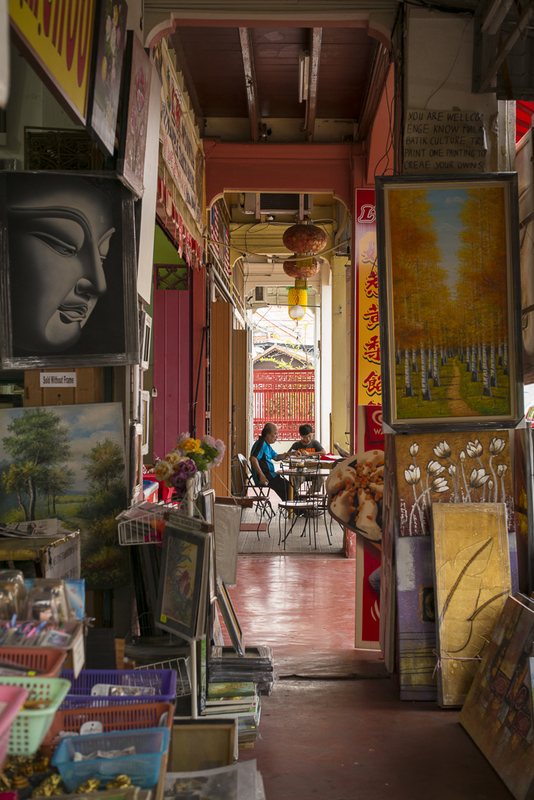 Jonker Street offers lots of photography opportunities, such as mosques, temples, street hawkers and even a classic barber shop! There were so much to see, to shoot & to eat that we ended up spending quite a fair bit of time there. (giggles). 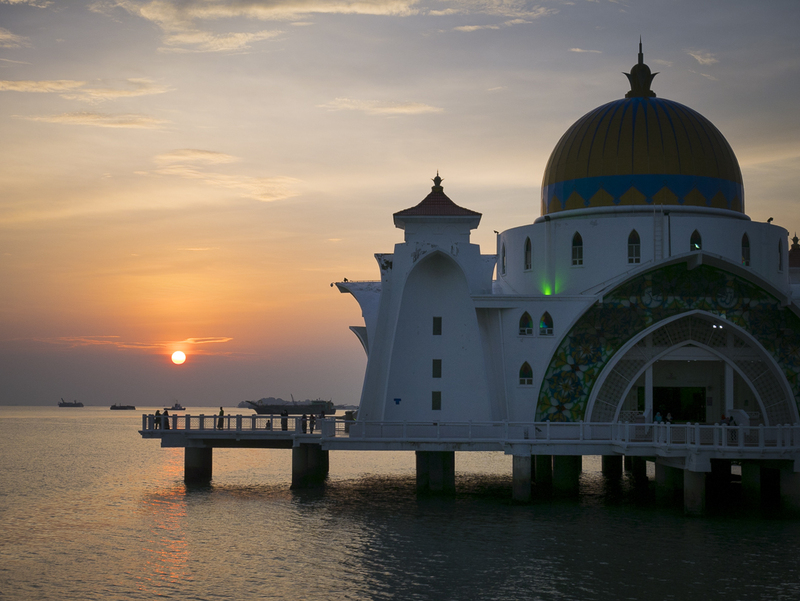 After that, we visited the Malacca Island and were greeted by an awesome sunset scene with the Floating Mosque (Malacca Straits Mosque) as the subject. 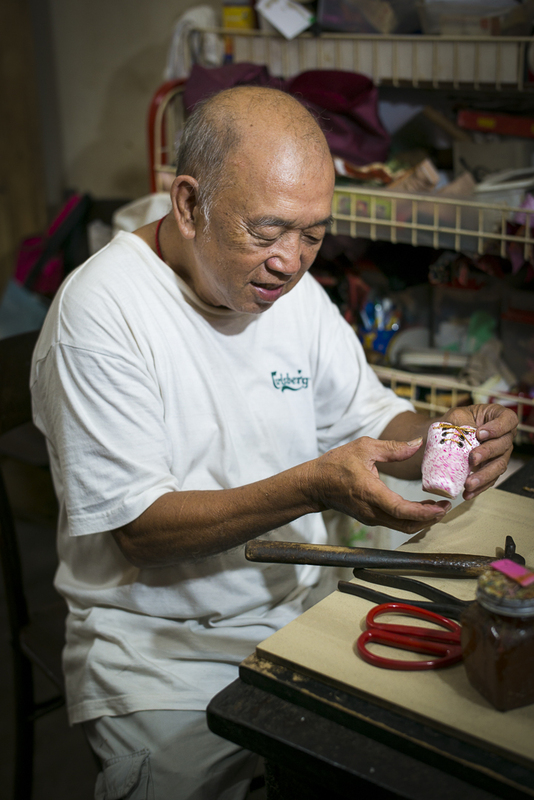 Photo by Terence Kwan: A traditional shoe-maker at work. Editor: Wow! Sounds like you had lots of fun (& food)! So what did you do on the 2nd day? Terence: Well, on the second day, we woke up early and had a sunrise shoot at the Portuguese Settlement followed by UNESCO World Heritage Malacca Museum Complex of St Paul Hill, The Stadthuys, A Fomasa. We covered quite a number of places in the morning before we headed out for a fantastic beef noodle for lunch. In the afternoon, we visited the Glass Temple at JB before we head back to Singapore. Editor: That sounds really tight-scheduled! Wouldn’t that be too rush since the main objective is to do photography? Terence: Not really. On overall, I would say the schedule was very well-planned and we were given enough time to explore all the places we visited and also enough locations to keep us (fully) occupied for the 2 full days. 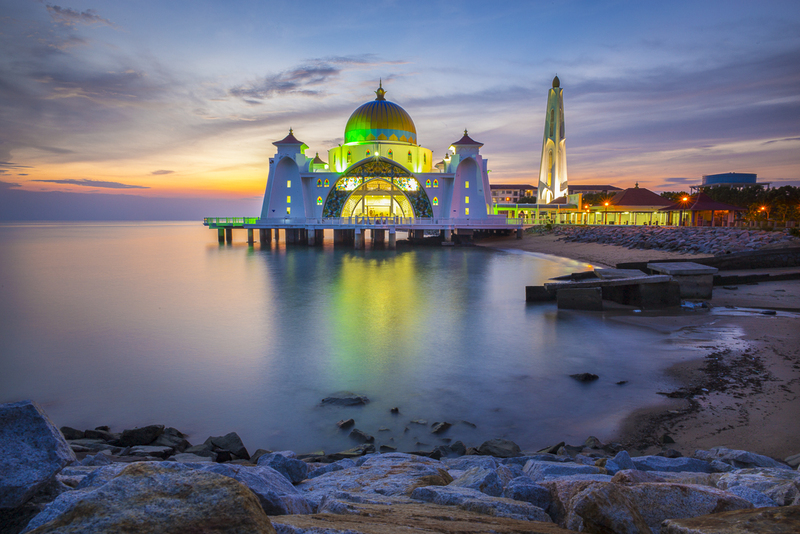 Photo by Terence Kwan: Malacca Straits Mosque or Masjid Selat Melaka at twilight. Editor: From our understanding, you are an avid photographer, how did you find the overall photography experience while traveling with Xing Asia ? 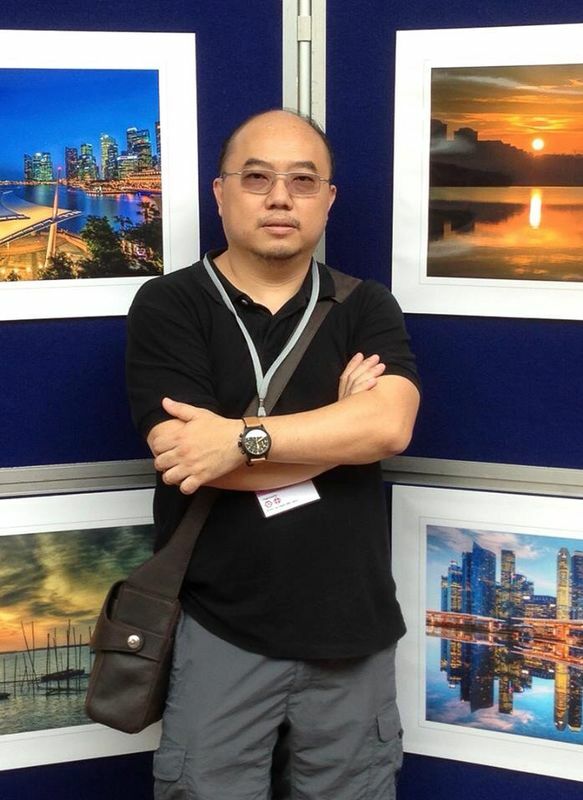 Terence: It was a great photography experience with Xing Asia. I would attribute the main credit to the tour leader, Mr Michael Lee – who is a Master Photographer. During the trip, he gave us valuable photography tips and share a lot on how to capture a better photo. Apart from that, he (Michael Lee) is one person that fully embrace the local culture and he mingles easily with the local residents to create rare photography opportunities for us. For example; While we were walking along Jonker Street, Michael spotted a classic-old-style barbershop and he went in to chat up with the shop owner. Soon, permission was granted for us to take photograph inside the shop. 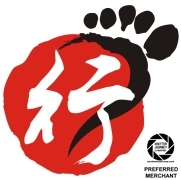 This factor itself is a great advantage of doing photography tours when comparing Xing Asia to other travel agents. Photo by Terence Kwan: A Five-Foot way scene filled with Art Pieces, Feel and Colors that made Malacca interesting & nostalgic. Editor: That was a strong positive statement about Xing Asia! So for this trip, the main objective was photography. Did you discover new perspectives to shooting through your camera? Terence: As I had never been to Malacca before this trip, I would think that my perspective and opportunities would be limited if I had traveled with other travel agencies. Editor: Good, that means you had learned a lot during the trip. Was Michael really that “in touch” with Malacca? Terence: Absolutely! Michael Lee even knows where are all the good food! Editor: Was there an unforgettable experience/ moment that you had encounter during the trip and would like to share with us ? Terence: The whole trip itself is an unforgettable experience that makes me want to go back to Malacca again. If I have to share one MOST unforgettable experience, it will have to be the good food that was provided throughout the journey. Absolutely deli-fantastic! Photo by Terence Kwan: A moment in time. Editor: You are making me hungry now. So how does it feel to be traveling with other photographers whom you just met at the trip? Was the atmosphere tensed? Terence: I expected that since we are all strangers to each other, however, it turned out that everyone was cordial and friendly (with lots of jokes in between). Many of us became friends after a little warming up. Soon, everyone was sharing photography ideas and techniques like we had known each other for a long time. Editor: That sounds like great fun with a bunch of great photographers! 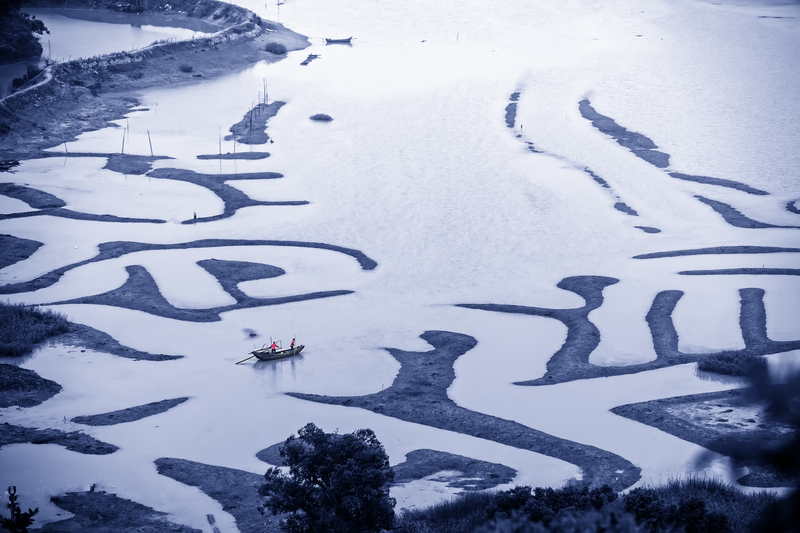 Tell me, will you recommend Xing Asia photography trips to your friends (be it season traveller, photographer)? Terence: Ah, this is the question that I don’t even have to think! Absolutely is the answer! Editor: Ok! Last question. Do you have anything to share with our readers who are photographers like yourself? Terence: If you are a photographer, you will definitely enjoy the photography trip with Xing Asia. 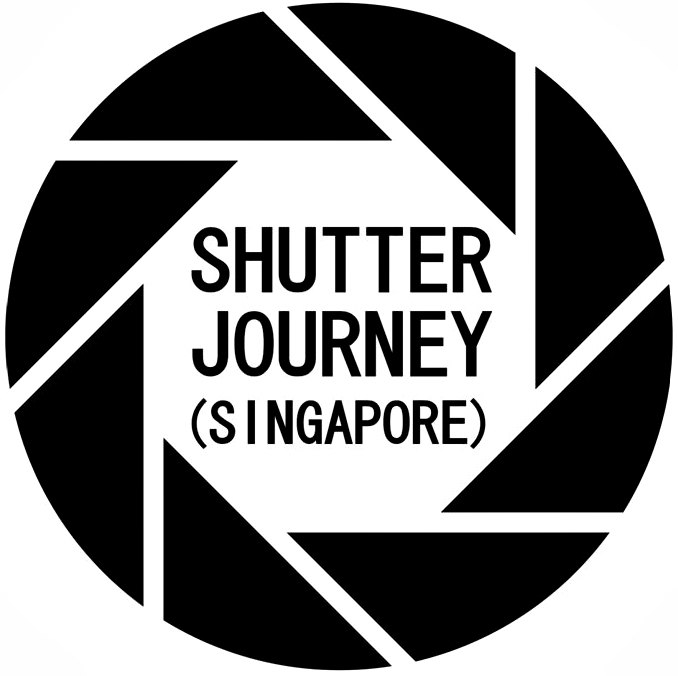 You will be presented with lots of (rare and fantastic) photography opportunities. If you are not a photographer, oh well, the FOOD itself is already worth the trip! Editor: Thank You Terence for your time and allowing us to interview you! Hope to catch you eating Chicken Rice Balls at Malacca one day! 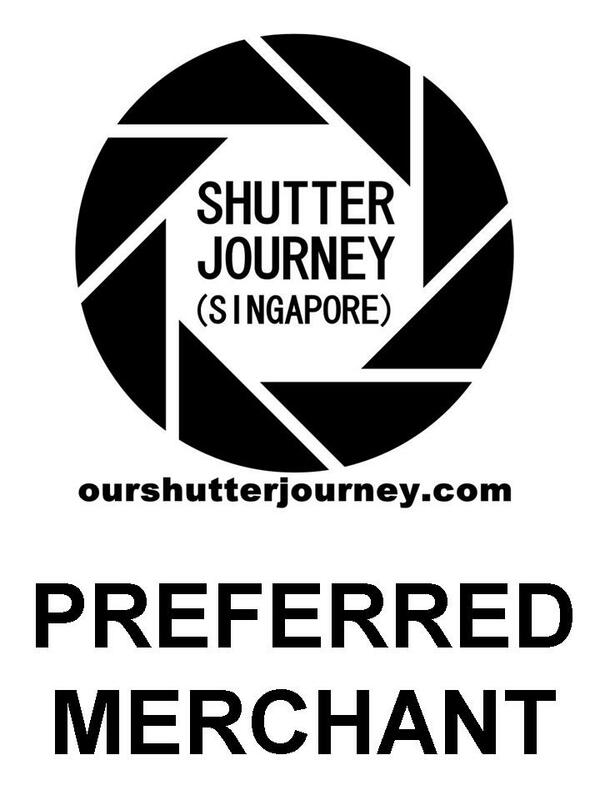 This entry was posted in Featured Photographers, Featured Photography Merchants, Photography Articles & Videos, Photography Tours and tagged Featured Merchant, Featured Photographer, Michael Lee, Photography Tour, Photography Tours, Photography Trips, Terence Kwan, Xing Asia. Bookmark the permalink.